Benayr Barker: Our puppy, Shirley U Geste continues to amaze us! 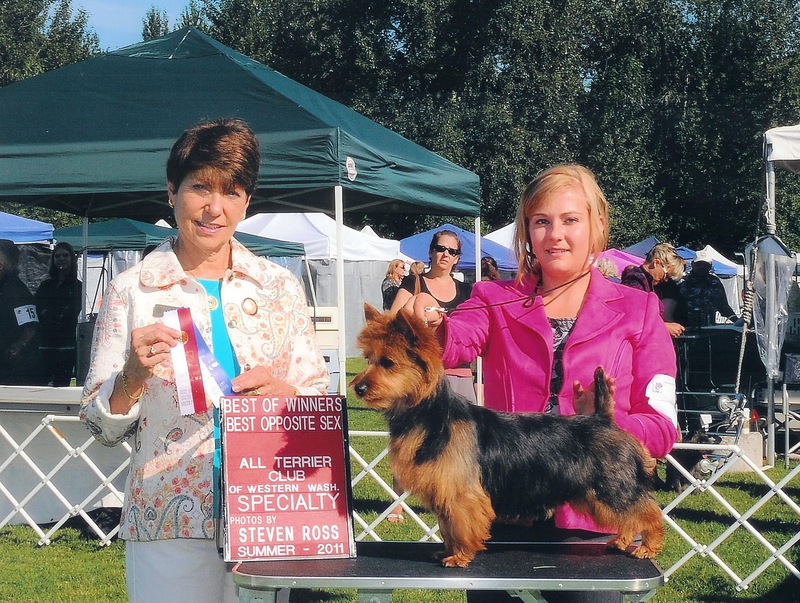 Shirley added a major and two additional points at the Western Washington All Terrier weekend in Redmond, Wa. Shirley was handled by Alana Mauzy, who did a great job with her, as always. 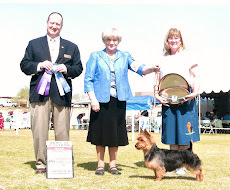 Shirley is from the first litter of Ch Benayr Beau Geste. Thanks, Beau! Our puppy, Shirley U Geste continues to amaze us! 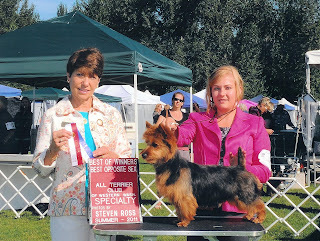 Shirley added a major and two additional points at the Western Washington All Terrier weekend in Redmond, Wa. Shirley was handled by Alana Mauzy, who did a great job with her, as always. Shirley is from the first litter of Ch Benayr Beau Geste. Thanks, Beau!